A 'must-do' for families! A vibrant Art Studio on Main St in Breckenridge and Lakeside Village in Keystone. Pottery and Canvas Painting. Glass Mosaics, Fusing and Slumping. OPEN STUDIO 11am to 9pm. Extended Holiday Hours! Great family fun. Create your own piece of art- a gift or a souvenir - enjoy a creative time together. Supplies and instruction provided. Knowledgeable staff on hand to get you going. Visit the calendar for upcoming Events and Workshops in painting and glass. Take a break from the cold and come enjoy these lively and well equipped studios. No experience necessary. 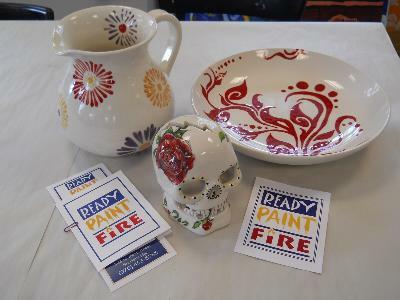 Photos from Ready Paint Fire! Videos from Ready Paint Fire! 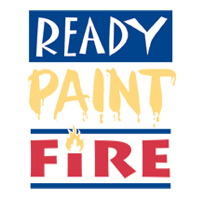 Coupons for Ready Paint Fire! Max 4 per family - save up to $20. Single-use coupon. Cannot be combined. Listings for Ready Paint Fire!